If you’re a mature triathlete of any standard, it’s worth taking a look at the triathlon training camp that Tri50 is running in spring this year. There is a swim camp that will run from Mon 23rd April to Sat 28th 2018. The triathlon training camp will then follow on from 29th April to Sun 6th May 2018. You can also do the combined camp from Mon 23rd April to Sat 6th May with a rest day on Sat 28th. The camps will take place at the stunning Sands Beach Resort Lanzarote where, guess what ladies, there’s a good chance it will be warm! More details can be found on the Tri50 website . The camps include underwater filming, 1-1 corrective analysis and feedback, and a personalised comprehensive 6 week training program to take home. There will also be various presentations, workshops and sessions on S&C and core strength. 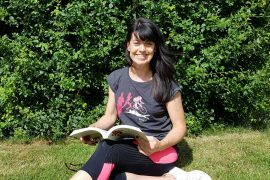 Trigirl were lucky enough to catch up with coach Jo Lewis to find out more about the camps. We’d love to hear how you get on. Don’t forget to share your camp experiences with us when you get back home. 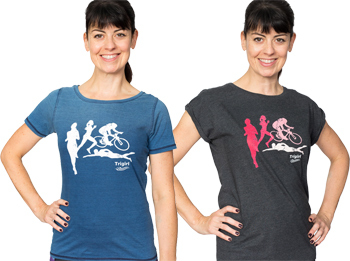 Jo Lewis co-founded Tri50 in 2010 with a vision to inspire and nurture mature athletes. 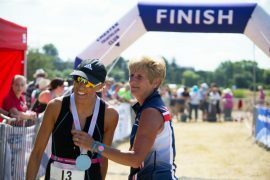 Far from winding down in her forties and fifties, she was just hitting her stride and ultimately achieved her fastest 10k and half marathon times age 47. 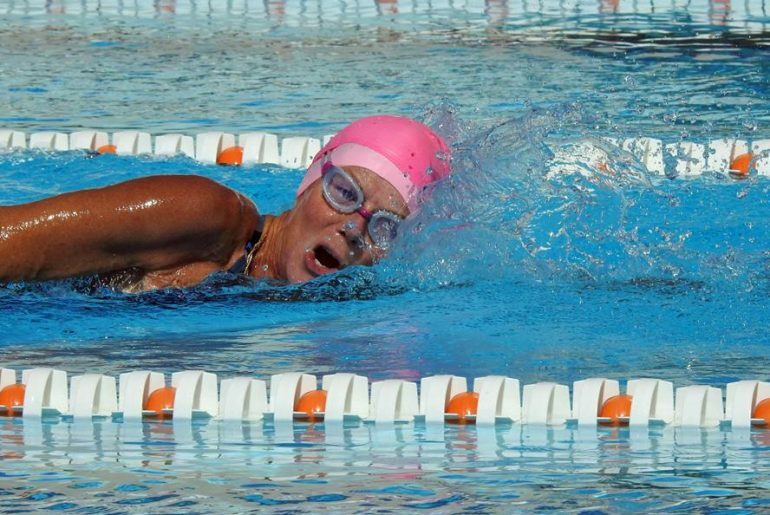 Jo took up triathlon in 1998 and has since achieved several podium finishes at national level including being National Age Group Champion at Sprint Distance. 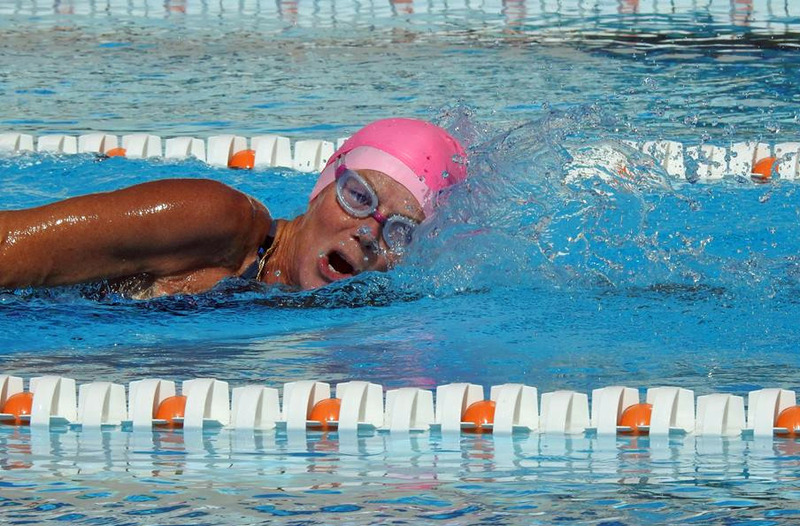 She has also captained the GB Age Group Team and won multiple medals at international level. 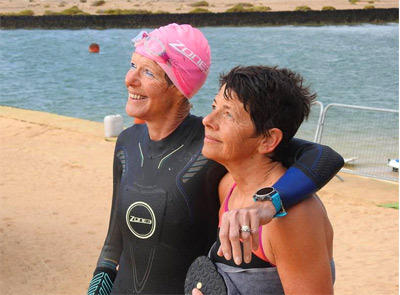 As if her own personal achievements weren’t enough to inspire us to get up off the sofa and get out there, she, along with her coaching partner Sandra Barden have made it their mission to offer practical help and training for mature athletes. 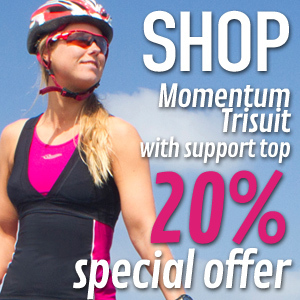 Their coaching is tailored to novice and advanced triathletes who are not yet ready to hang up their trainers. Trigirl + Deva Divas Triathlon!